What Are The Most Popular Flowers In The World? Flowers are known as the most beautiful creations of God. They are totally feminine- in that they are delicate, fragile, romantic and alluring. God has created them like an artist with great imagination. Most of them have short lives but have inspired poets and artists down the ages. 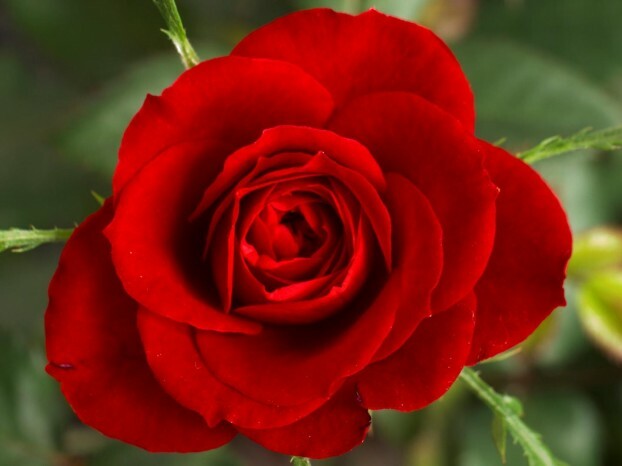 Rose: without doubt, the rose is the most famous and best loved flower in the world. Symbolizing happiness and love, they come in different shades, sizes and shapes. Bouquets of roses are exchanged at weddings, birthdays, anniversaries, Valentine’s Day etc. Many people grow roses in their home gardens. They are very delicate looking as well as have a sweet fragrance. Common colours are red and white but blue and black are some exoticshades. They are much loved for sending flower delivery in Jaipur. Tulip: It became popular when introduced into 17th century Europe, particularly Holland. There was an era of ‘Tulip mania”, when collecting these flowers became a craze. These attractive, bell shaped flowers are commonly found in red and yellow and also in unusual shades of purple and light blue. Carnations: They date back to 2000 years ago. They are very common and have strong symbolism of love and distinction. They are found in many shades like pink and red as well as purple, blue, fuchsia etc. Daisy: Though they have a simple design, they are amazingly beautiful. They convey happiness and joy and are as such popular for gifting as bouquets. They are perennial flowers with evergreen leaves and have a yellow centre surrounded by delicate white petals. They can be grown easily. Sunflower: Another name is Helianthus derived from Helios (sun) and Anthos (flower) in Greek. It is one of the most arresting flowers in the world. It comes in nearly 67 species and originated from North and Latin America. Having deep yellow coloured petals and brown centre, Sunflowers are also cultivated for their seeds which yield cooking oil. Gerbera: It is also part of the Sunflower family. It symbolizes innocence and purity. Available in a multitude of colours,it is perfect for decorating homes. It is a perennial flower, featuring a wide Capitulum and remarkable ray florets. Daffodils: They are incredibly lovely flowers, which symbolize friendship and are part of the Narcissus family. Mainly in yellow colour, they feature trumpet like structure fixed to a star shaped background. They bloom in clusters, especially in the spring season. They are found in amazing shades like orangeand white, orange and yellow, green and lime etc. Orchid: One of the most delicate and grand flowers of the world. It is an ornamental plant with flowers in shades of pink, fuchsia, purple etc. It symbolizes luxury and beauty. It came to be associated with royalty. Iris: Meaning rainbow, it is associated with Iris, a Greek goddess who is a messenger of love. It is an exotic flower to be grown in the garden. These are some of the most popular flowers in the world. One can send flowers to Jaipur by selecting any of these flowers to be delivered to your loved ones in Jaipur. This gesture will be much appreciated.